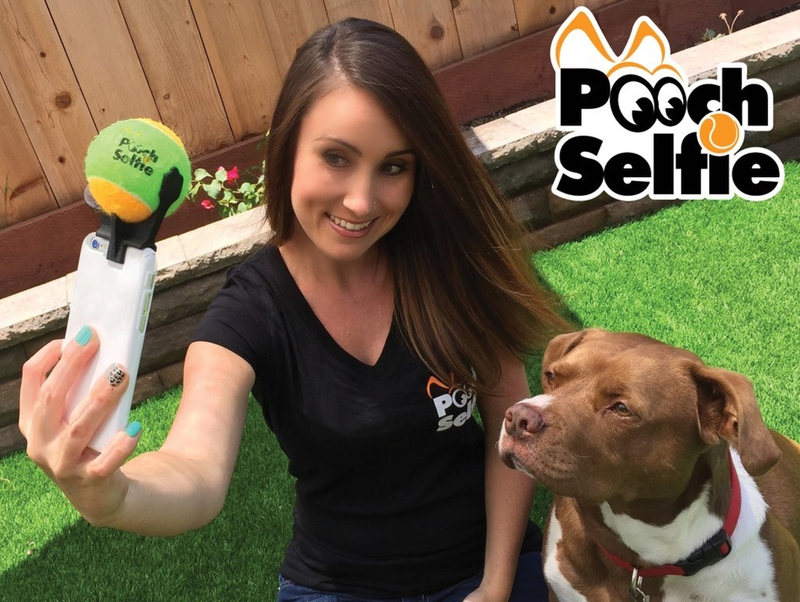 Dog Selfie Stick – Welcome to Cool and Crazy Gadgets! With it’s simple clip-on design, this gadget is incredibly simple and easy to attach to your smartphone. After playing ball with your dog, simply press the ball into the selfie stick. Having the tennis ball mounted in close proximity with the camera makes it seem that your dog is gazing directly into the lens! As well as being bright and luminous to catch your dog’s attention the tennis ball also squeaks once it is pressed! This is a useful way to regain your dogs attention once the tennis ball is mounted. 3…2…1 and pose! Your dog is sure to stand to attention for extended periods of time, allowing you to get the perfect lighting and angle for your photo!